What is not to love about Michele? She was a cold call that I made when looking for a new house for my family in Linden. Since I was only able to come up at certain times to Michigan, Michele worked her schedule around me and offered her honest opinion on the homes that we saw. She recognized what our family was looking for and knew what we would be happy with...not allowing us to make an impulse buy. That one cold call I made was by Divine Providence, because I not only met a fantastic realtor, but a great friend. A very intelligent, competent, helpful, and goes beyond and above her expertise. I am very, very happy we hired her to sell our home and to buy our new home. Michele is ALWAYS professional, kind and extremely knowledgable, not only about the area but about the mechanicals and the bones of the homes as well. She has put up with our back and forth (because our home needs changed in the midst of looking). Michele and her team have been incredibly patient with us through our home buying process. After almost 8 months and 3 different counties of searching, we have found our home and couldn't be more excited. If we ever move from here, Michelle will be our first call. My husband and I highly reccomended Michele Papatheodore and her team. You will not be sorry! Choosing Michele as our realtor was the BEST decision that we made when selling our house. Michele did more than was asked of her, answered every question with expertise, returned every message almost immediately. AND she sold our house in less time that we thought possible and for more money that we asked. She gave us perfect guidance and advice." Michele is outstanding! She helped me purchase a home that was exactly what I was looking for and sold my condo in one day for full asking price! Throughout the whole process Michele was always available and exceeded expectations at every turn. I would highly recommend Michele for anyone looking to buy or sell! Michele is an amazing agent that I have had the pleasure of working with on multiple occasions. Most recently, she assisted us in selling our $180k home in Linden. We were rushed into the selling process due to stipulations on the purchase of our next home and Michele met the impossible demands head on! The house was listed with full professional photos in 3 days and sold for full asking price 2 days later. Not only did Michele over deliver on selling our home, she also stepped in to consult us on the purchase of our next home (which she was not representing us on). Michele shows a level of commitment to her clients that is unmatched in any service industry I have found. Michele is amazing! I have went thru her to purchase my last house, as well as sell it and buy a new one. She is very knowledgeable and trustworthy, and I am inspired by her determination and work ethic. She will forever be my go-to when it comes to real estate! We first began working with Michele in 2012 in the search to find a lake home in Michigan that fit our needs and was within our budget. The process was complicated by the fact that we were living in Georgia and could only travel to Michigan a few times during the year. Michele kept us updated on homes that fit our criteria and secured appointments for us to view these properties whenever we arrived in Michigan. She kept in touch with us by email, phone and texting to promptly answer all our questions and to provide information about specific lakes. At no time during the last four years did she give up on us or pressure us into making hasty decisions. The happy ending occurred on June 8th, 2016 when Michele handed us the keys to our new home. We found Michele to be honest and reliable in all our dealings with her and appreciated her professionalism in handling our bid and contract to buy our home as well her attention to detail in assuring that all conditions of the contract were met. The closing and possession went very smoothly and Michele continued to assist us by putting us in touch with contractors who will provide the services we need at our new home. 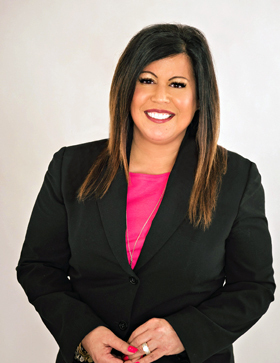 We are pleased to recommend Michele Papatheodore without reservation as a realtor who is genuinely committed to representing her clients and to working in their best interest. Michele has helped me buy and sell two homes now, and I couldn't be more pleased with her. She made me feel like I was her biggest priority and we also had a great time laughing and talking along the way. She's personal and diligent and hands down, the best realtor in Michigan. I would recommend no one else!" Michele was amazing to work with. This was our first time purchasing a home and she made the process so much easier and found us exactly what we were looking for. She was always very prompt and kept us up to date on any new developments. I would highly recommend Michele to anyone looking for a new home! I found Michele to be hardworking and trustworthy and look forward to working with her again. I am currently in the market for investment property and Michele is exploring and presenting me with opportunities. Michele has been wonderful to work with! She is hardworking, responsive, knowledgeable and caring. When we found a house that we knew would go fast, Michele dropped everything to meet us with an hour notice. If it hadn't been for her, our dream house would have slipped away. We closed this morning and we couldn't be happier. I would recommend her to anyone!! Michele and team did a fantastic job with finding my family a new home. We were moving from out of town, and the entire process was quick and painless with Michele's expertise. When going into potential homes for a walk through, she would really look for issues with the home, I.e- water in basement, structural issues, etc. We always felt Michele had our best interests in mind! Michele and her team were great to work with and flexible to our schedules. She is a great negotiator to get the best deal for our money, and I would recommend her services to anyone I come in contact with. Michelle was amazing. She sold our home in less than 3 weeks for full list price. I would recommend her as nobody will work harder for you than Michele. Michele Papatheodore is an exceptional real estate agent. Michele is so knowledgeable about everything in her field. She and her assistant, Shanna Cameron, went above and beyond in finding me my first condo. They made the sales process so flawless and fun. I will always use Michele for my future properties, and will refer her to anyone I know. I had such an amazing experience. Oh and Michele's husband, Jim Papatheodore, is just as great with mortgages! What a duo!! Seriously such a great family to do business with! Thanks for everything Michele, Shanna, and Jim!! I truly cannot say enough positive about Michele, both as a realtor and a person. Though we weren't introduced to her via a referral but rather when I cold called her from a sign on a home she was listing (we ended up purchasing that home), we were not disappointed. We hired her as both our purchasing agent and selling agent for our home. She remained honest, professional, and respected boundaries for both the seller and ourselves through the entire process. She knew how and when to place our home on the market causing it to receive multiple offers in a week and sell well above what we imagined we could sell for. Her expertise allowed for a smooth transition from one home to the other. She is knowledgable. Her work is quality -- even if it is an out of pocket expense for herself. The professional photographer she hires does a fantastic job at making your home looking beautiful. Michele is top notch, she is fair, she is accessible, she cares about her clients finding the home that meets their needs, not just making a sale. This was evident through all of our interactions with her. I would and will recommend Michele to friends and family as well as use her services if we buy/sell in the future. I highly recommend her...she will not disappoint! Michele was great ! She answered all are questions in a timely matter. She helped us find our first home , and we couldn't be happier . I would recommend her to anyone looking for a new home . Michele made the experience enjoyable and not so stressful.